If you are a wine enthusiast, you must sign up for the email newsletters at LocalWineEvents.com. You select the area you live in and then get updates and details about local wine happenings. The newsletter has the adorable name “The Juice”…yes it is a wine pun! 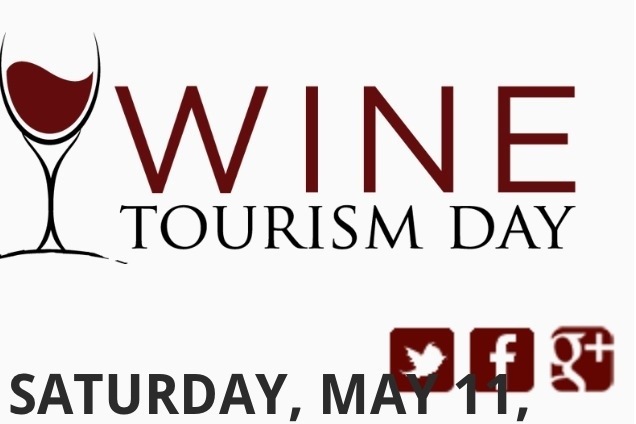 When I got my weekly newsletter today, I had no idea there was a Wine Tourism Day, but hey, why not? North American Wine Tourism day is May 11, 2013 – mark your calendar. I will probably just be traveling to Trader Joe’s or Costco on that day for wine, but I plan on participating one way or another! Wine and traveling are two awesome things, so together they are even better! Right now you can go to the Wine Tourism Day website and sign up to win one of five wine country vacations as part of their Great Wine Tour giveaway, including airfare, hotel, dinner, and a day of guided winery visits for two! How did I not know about this?! I feel like such a bad wine drinker! Signing up ASAP! LOL! Hope you win! If you do, we have to meet up! I only live an hour and a half from Napa! What’s that you say? An hour and a half from Napa? I feel the need for a wine trip coming on….